How exciting! Peter Jackson and his wife Fran Walsh are teaming up once again and are bringing the fantastical magic they lent to The Lord of the Rings trilogy. Both are officially on as "Executive Producers." I don't know exactly how this will differ from their role in the LotR films which Peter directed and wrote along with Fran Walsh and Philippa Boyens. Peter also served as a "Producer" on the LotR films. I am hoping that being an executive producer will not prevent Mr Jackson from directing The Hobbit. I also find it odd that there are apparently going to be two films. One will be based on The Hobbit by J.R.R. Tolkien, and the second a sequel based on Tolkien's notes. It will be interesting to see a "new" storyline that has so far not been set to book format. What I can definitely say is that a live-action movie set in Tolkien's world would not have felt right without Peter Jackson and his crew (Including WETA of course) being involved in some way. 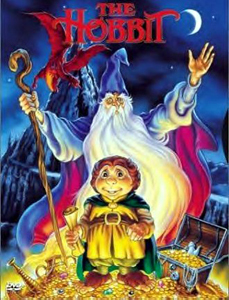 If the current schedule is met, get ready for The Hobbit in 2010.